Hey Hi Hello! I'm Remus and I'm wonderful! I am an easy going young bi-eyed, black and white boy who gets along with everyone. I am 10 months old. I'm house trained and I'm gentle with treats and elementary age children and up. I love to go on walks and though in the lead, am well trained to leash. I would be an excellent companion with another dog or solo; I go with the flow! Oh! Did I tell you? I know "speak", "down", "sit" and "paw" too! You and I will have the BEST conversations, just you see! I really can't wait to meet my furever family and will blend in like I've always been there as you best buddy and closest confidant. Good with older children. House, crate and leash trained. 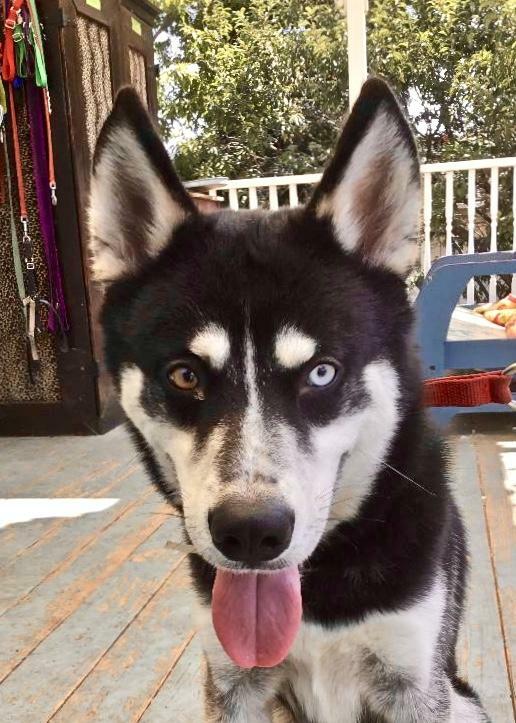 He is a neutered Male, 17 months old, Housetrained, Crate Trained, Lead Trained, has Obedience training, good with Children, good with Large Dogs, has DHLPP vaccinations, microchipped.